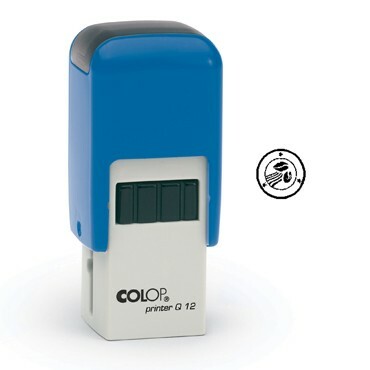 Self inking rubber stamps have a built in replaceable inkpad making them clean and easy to use. Perfect for use on loyalty cards. Please note the ink supplied in our self-inking stamps is a water based endorsing ink and is suitable for use on matt surfaces (eg paper and card) If you require a quick drying ink for use on glossy surfaces please give us a call. Self-inking stamps are available in a variety of sizes and can incorporate any design or logo. Simply upload your artwork (as a black/white pdf or jpeg if possible) and leave the rest to us. Proofs are available on request to ensure customer satisfaction. If you require any advice on designing your rubber stamp, or if you do not see your required size of stamp, please give us a call on 02890 325889 where our experienced staff are always happy to help.